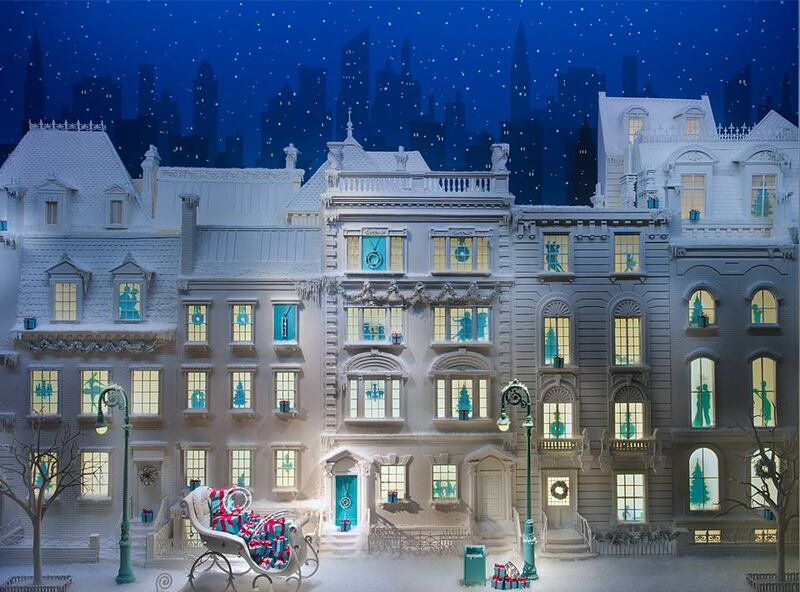 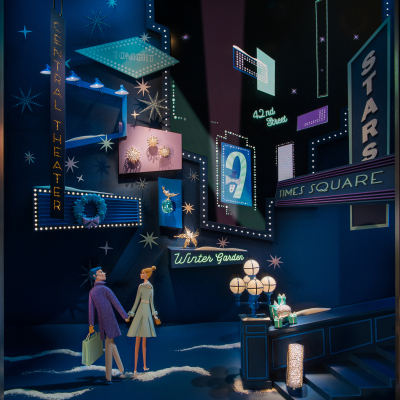 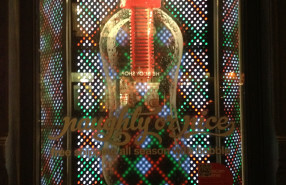 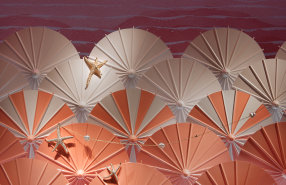 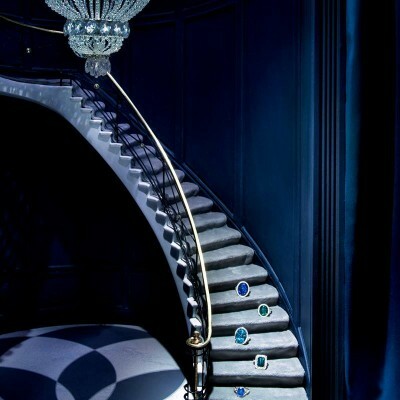 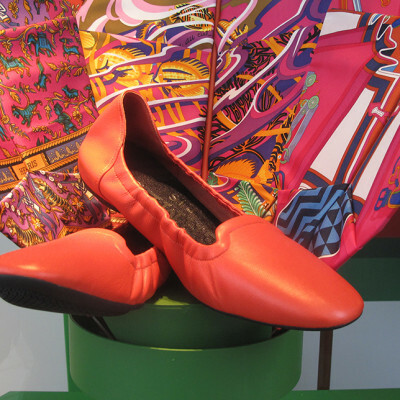 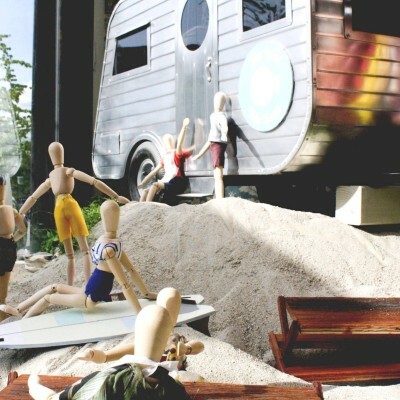 Tiffany & Co celebrate their Enchant collection with a beautiful and detailed window display. 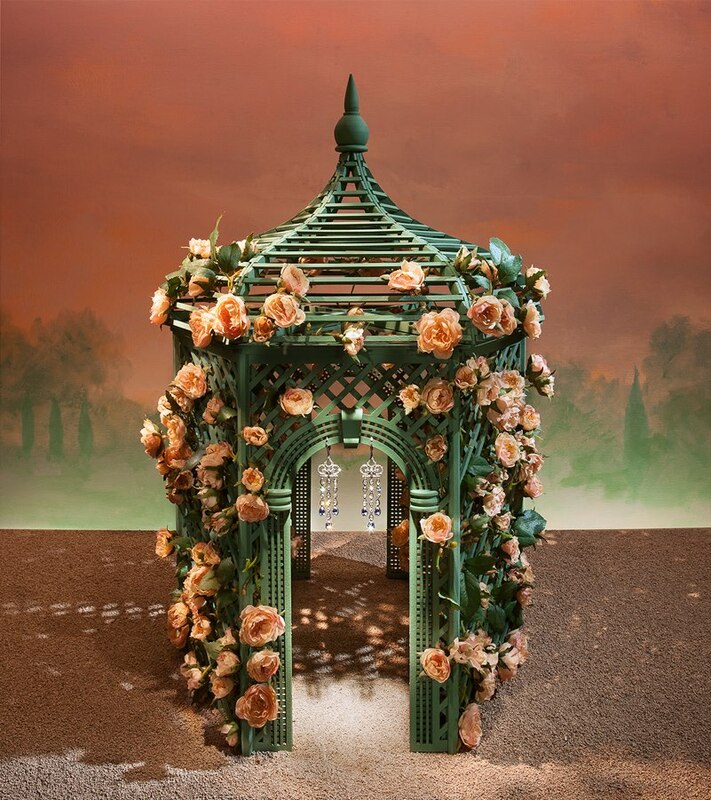 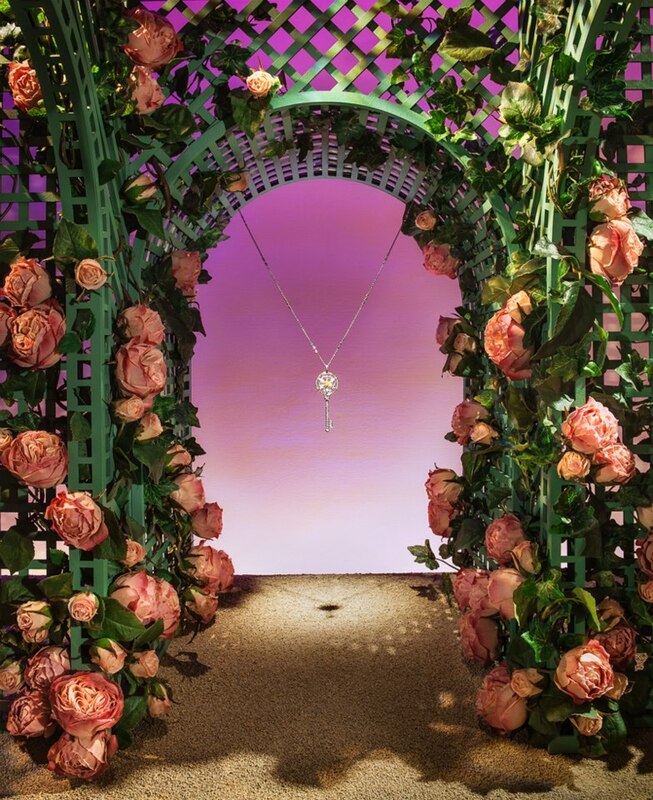 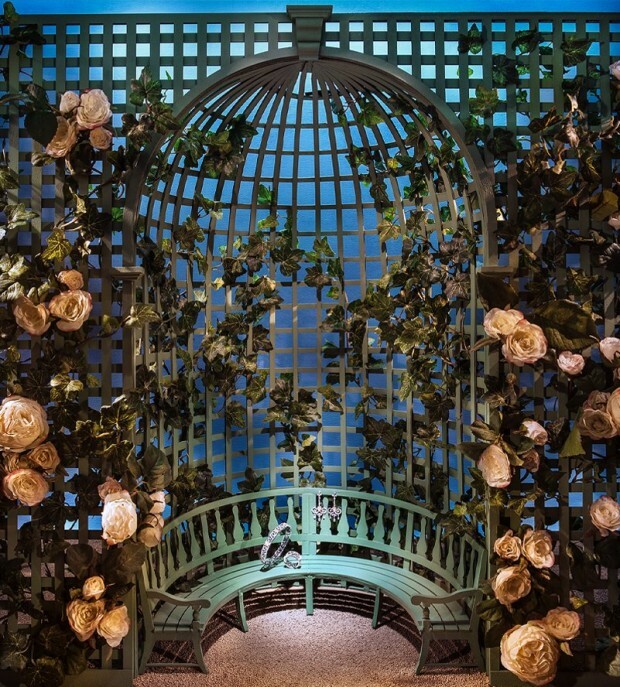 With the theme ‘Secret Garden’ they created a garden arch and a gazebo decorated with roses to present the Enchant collection jewerly. 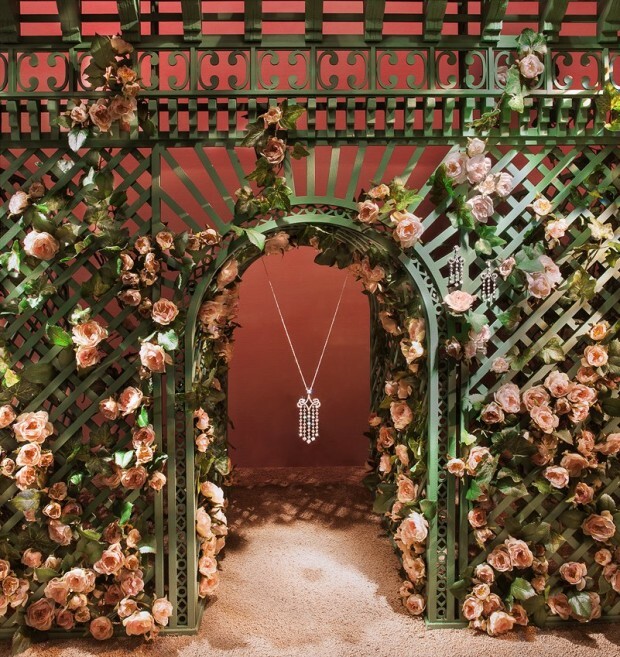 A miniature gazebo displays earrings with diamonds and tanzanites. A diamond scroll pendant from the Tiffany Enchant collection entices with a waterfall of diamonds. 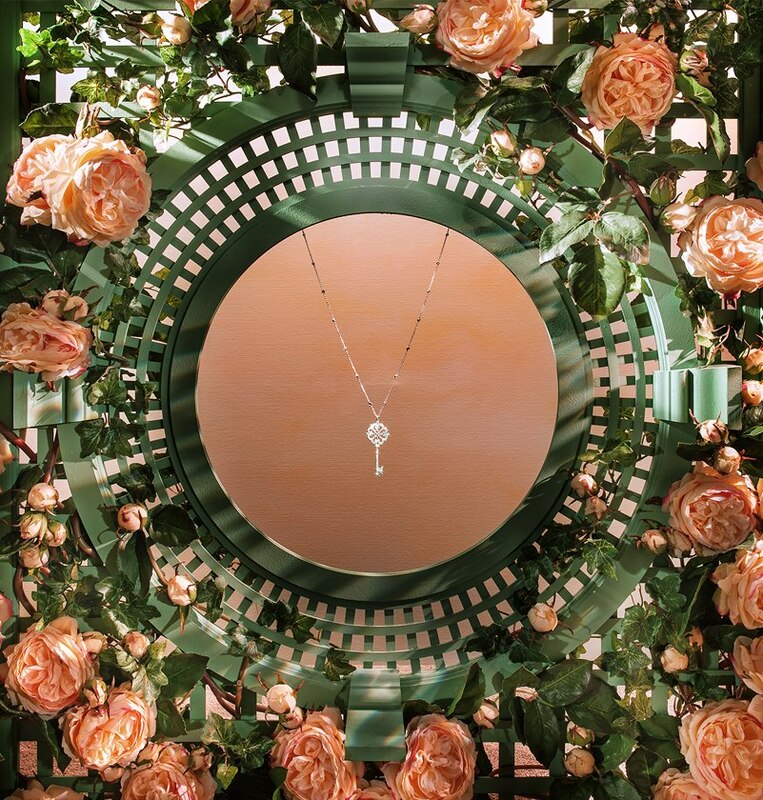 A handcrafted lattice design frames a Tiffany Enchant diamond key.